English singer Elena Jane Goulding flaunted her curves in a white bridal gown leading Royal guest list At Our Planet London Premiere. 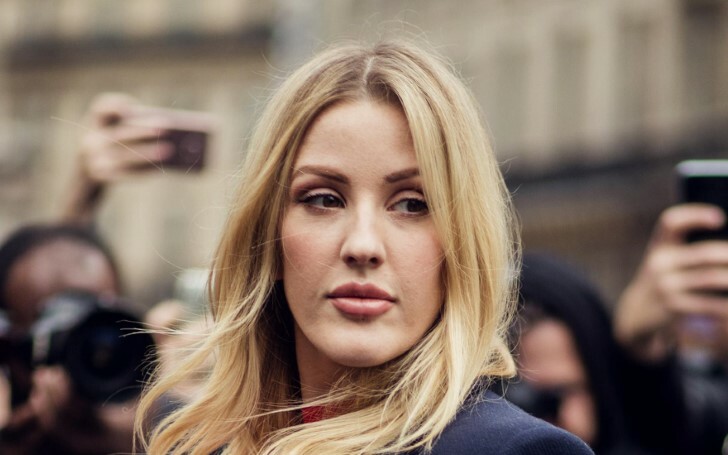 Recently on Thursday, all eyes were on the beauty queen Ellie Goulding soon as the 32-years-old led the pack of A-listers with her angelic look on a stunning wedding-inspired outfit at Netflix's Our Planet London premiere at the National History Museum. 'Love Me Like You Do' singer was on a gown by Adriana Degreas' 80's inspired padded shoulder looks and belted waist gown. Ellie Goulding flaunted her looks during Royal Guest List At Netflix's Our Planet London Premiere. The white bridal dress with 'V' necklines and the soft textured fabric was perfectly matching with her flaunting curvy body figure embraced with her golden silky hair and matching white pointy heels. Goulding kept all her makeup lowkey as possible though she was tempting with her natural charismatic looks and an irresistible smile. Sadly, the dress is not available to buy yet, but in the near future, the designer may make it available in the market. After an eighteen months relationship, Ellie and Caspar Jopling got engaged back in August 2018 and the internet was filled with rumors that Ellie is ready to get married soon as analyzing her bridal looks. So, guys what do you think about the British Ellie's bridal looks? Doesn't she look picture perfect?